Very sharp translucent and bright Rhodizite crystal with a greenish color. It is on a Elbaite- rich matrix (variety rubellite). 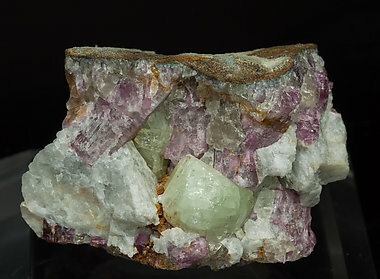 The rubidian Rhodizite was considered as a possible new species, but analysis indicates it is just a very rare Rhodizite variety.